The Clopay Garage Door Low Headroom Conversion Kit bay be required if you have less than 15 in. of headroom in your garage (see More Info below for a PDF of our How to Measure guide). Easily converts your new track to accommodate your low headroom application. Detailed installation instructions and all necessary hardware included. The EVERBILT Decorative Garage Door Hardware Kit instantly adds curb appeal to your home. The Kit makes the transformation simple and fast. It's like installing a custom garage door for a fraction of the price. Works on wood or metal doors. Easy to Install. The EVERBILT Traditional Decorative Garage Door Handle Kit instantly adds curb appeal to your home. The Kit makes the transformation simple and fast. It's like installing a custom garage door for a fraction of the price. Works on wood or metal doors. 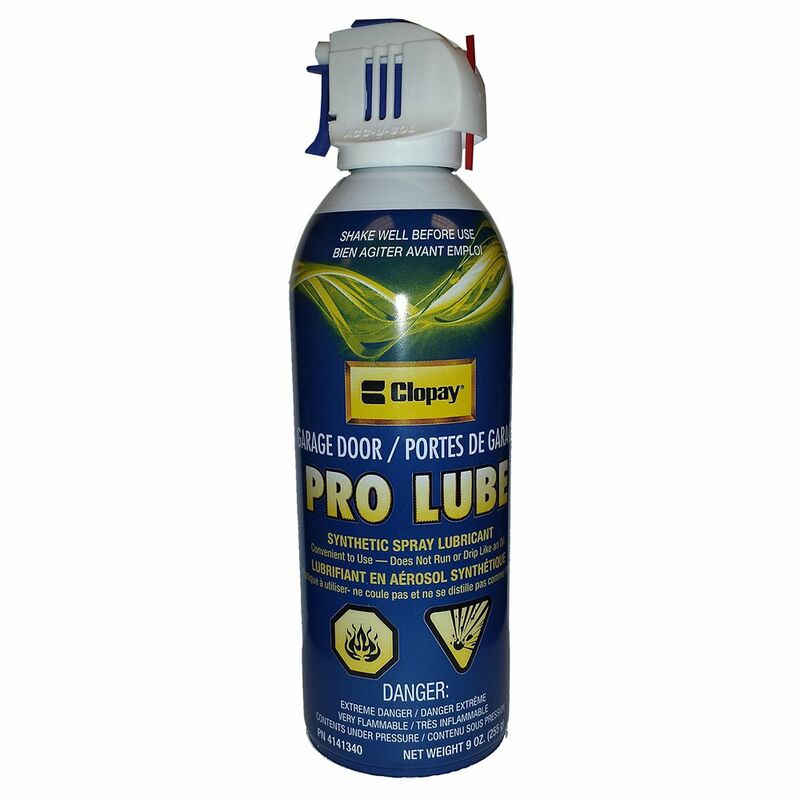 Clopay Pro Lubricant for Garage Door Clopay Pro Lube for Garage Doors offers a convenient way to keep your garage door operating like new. This easy to use no drip synthetic formula provides maximum lubrication for your door. The Clopay Pro Lube is an anti-friction, anti-rust lubricant that provides a long lasting thin lubrication film on any surface.